When people are traveling, the best recommendation a travel expert can give, is to have local food. That way, by tasting the flavors that locals eat, the travelers can better perceive the culture and get further understanding of the people. At Bogotá, Colombia, you have to go for this exquisite dishes, recommended by generations of bogotanos and tested positively, by many foreigners. The ajiaco is a chicken and three kinds of native potatoes, (sabanera, pastusa criolla) soup, that is just a chicken and potatoes soup until a miracle happens. 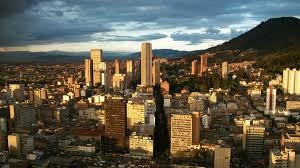 That miracle grows in the Sabana, the extended plain up in the Andes mountains at 2.640 meters above sea level ( 8.661 ft) where Bogotá is located.